I’m sure all of us in Gibraltar are rightly proud of our very own Kaiane Aldorino. As everyone in this neck of the woods knows, the present mayor was Miss Gibraltar in 2009 and a few months later she achieved what no one thought would be possible for a representative of such a small nation when she was crowned Miss World in Johannesburg in December 2009. No mean feat, and one for which she received the highest honour Gibraltar can bestow, the Honorary Freedom of the City. It may be that Kaiane set the bar too high, though. In subsequent years the Miss Gibraltar pageant organisers sometimes struggled to attract contestants, with the closing date having to be extended on more than one occasion. This year we reached the nadir. Despite two extensions to the original closing date, a cash prize for the winner of £2,000, a clothing allowance of £3,500 and an additional £400 for the first ten confirmed contestants, as well as the chance to represent Gibraltar at the Miss World pageant in China, only three ladies had signed up by 23rd of March, the final closing date. Cue a veritable storm on social media. From those who called for a further extension and better prizes for the winners to others who considered the very spectacle of a beauty contest humiliating and degrading to women. The ministry of culture responded with an assurance that a Miss Gibraltar 2018 would be crowned and would represent Gibraltar at the Miss World and throughout the year “as is customary”. In a statement it said it would “announce the format of this year’s selection process shortly”. No mention, you’ll note, of an actual show, and I hope the powers that be have the good sense not to stage one. No matter how they dress it up it would be ridiculous to hold a pageant, in which there are traditionally one winner and two runners-up, when there are just three contestants. I feel bad for the three young women who find themselves in this situation through no fault of their own but the reality is that such a beauty contest, presumably televised for the entire population to watch, would be nothing short of farcical. For all I know, the girls may feel the same way. Why not allow the community at large to select this year’s winner? Internet voting is commonplace these days in all sorts of contests, why not Miss Gibraltar? I’d rather our Miss World representative were chosen by her fellow citizens than the usual panel of international judges wouldn’t you? She would then truly be the people’s beauty queen. Safeguards would have to be put in place, such as geo-blocking to ensure no one outside Gibraltar is able to vote and a mechanism to prevent people voting more than once, but I’m sure this could be achieved. Who knows, it might prove popular and supplement or even replace the judges’ role in future editions of the show. A few years back I received an email inviting me to submit an entry for a kind of Who’s Who of broadcast journalists. I say invited, but that’s not strictly true. Whereas the original, and prestigious, Who’s Who itself does not charge the influential people profiled in it, my inclusion in this lesser oeuvre was conditional on buying the book when it was published at a cost of several hundred dollars. I ignored the email and was subsequently sent several reminders attempting to cajole me into signing up before the closing date. They tried again the following year, and the year after. Eventually they gave up. Similarly as GBC news editor I received countless invitations to awards ceremonies, galas, conferences and other events, often in a far-flung African country and on payment of a “registration” or “membership” fee. I disregarded them all. Not everyone is so wary. 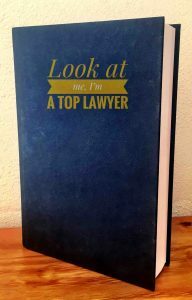 From what I’ve read it seems that legal practitioners in particular are vulnerable to what are known as Who’s Who scams and among the likeliest to want to feature in “vanity publications”. Inclusion in the latter normally just requires purchasing the book. In some cases you can also buy a shiny plaque to hang proudly on your wall. Clients will doubtless be impressed when they see how many of these publications you appear in. And if you can get the news outlets to run the relevant self-congratulatory press release, so much the better. What brought this subject to mind was an amusing account in which the boot was on the other foot. A legal gossip website, Roll on Friday, created a fake Nigerian law firm and its imaginary managing partner nominated the fictitious company for “Film Financing Law Firm of the Year in Nigeria” in contests which permitted nominees to invent their own category. To support his entry, he submitted a list of genuine Nigerian films for which he claimed his company had structured funding. Two UK publishers fell for it. They both said FLF Abiola & Co (“FLF” stands for Fake Law Firm!) had been shortlisted, but the winners had not been chosen. There would have to be extensive reviews and verification of all documentation and supporting text provided before the successful firms were announced. Both companies then tried to sell the fictitious firm advertising space in their awards magazines. Roll on Friday says that while this is not a precondition for winning an award, some lawyers go along with it to burnish their ego or to look successful to clients. Although the laugh on this occasion was on the publishers, I’ll bet that more than a few genuine legal practices felt like mugs when the hoax, designed to demonstrate the present glut of legal awards, was revealed. The opposition is in trouble. At least, according to a GBC opinion poll it is. The poll gives the GSLP/Liberals a better than two-to-one lead over their main rivals, the GSD, with 36% and 16% support respectively. A hypothetical party led by independent MP Marlene Hassan Nahon is on 6%. 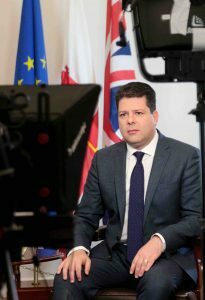 The results must have come as a welcome shot in the arm for chief minister Fabian Picardo as he prepared to deliver his “One year before Brexit” address on television. The pie chart excluding undecided voters must have pleased him even more, as the alliance’s advantage increases to a huge 34 points. It’s precisely in the high proportion who haven’t yet made up their minds, though, that the underdogs find comfort. 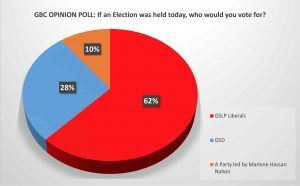 The leader of the GSD, Keith Azopardi, said that: “with nearly 40% of voters undecided the GBC opinion poll shows there is all to play for before the next election”. He declared it was “early days” in the party’s rebuilding and renewal work, adding that he drew “many positives” from what he sees as the GSD’s consolidation after a period of instability. 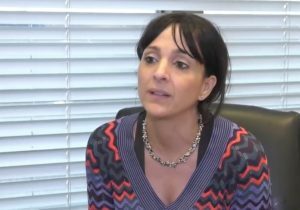 For Ms. Hassan Nahon, meanwhile, the “massive percentage” that has yet to be persuaded how to vote is proof “that there is an appetite for new ideas and for a new way of doing politics in Gibraltar”. She promised to do her best to provide that option looking forward. Now I don’t wish to rain on Keith’s or Marlene’s parade, but recent history suggests their optimism may be misplaced. 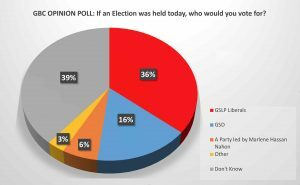 In April 2015, seven months before the general election, a GBC poll had the “undecideds” on 31%, which grew to 35% in another survey just three weeks before polling day. That didn’t stop the GSLP/Liberals romping home with a 68% share of the votes to the GSD’s 32%, the largest margin of victory since 1992 when the GSLP secured its second term of office with 73%. A lot can happen between now and polling day, but it’s already evident that the present day opposition has its work cut out to prevent the alliance from winning its third election in a row. I’ve mentioned the chief minister’s televised statement on Brexit. Understandably, given the trepidation that there is locally about our eventual departure from the European Union, Mr Picardo’s message was upbeat. He highlighted the “excellent progress” in discussions with the UK and the “relationship of trust” that’s developed between his and Theresa May’s government since the EU referendum. But he also pointed out that Gibraltar has been let down in the past by the United Kingdom. In its 28 March letter to Brexit Secretary David Davis, the House of Lords EU Committee voiced many of Gibraltar’s concerns and sought numerous assurances from the British government. It noted that the UK “has a moral duty to defend and represent the interests of Gibraltar in the Brexit negotiations” and asked what reassurance Mr Davis could give that it would continue to fulfil this moral responsibility “during the Brexit negotiations and beyond”. The Lords’ letter was certainly a morale booster. However the very fact they had to write it indicates that the UK’s support cannot be taken for granted. As the chief minister said in his address, we must remain “eagle-eyed”: alert to any weakening of HMG’s “unshakeable” commitment to the Rock. 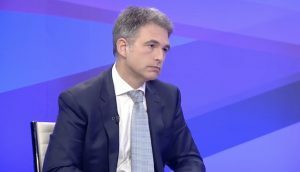 In a recent Facebook post the leader of the GSD, Keith Azopardi, criticised GBC for its readiness to describe the leader of the Spanish socialists, Pedro Sánchez, as the leader of the opposition whereas the corporation does not afford him (Mr Azopardi) the same title. Unfortunately for Mr Azopardi the democratic reality is that he is not the leader of the opposition. That post is held by Elliott Phillips, his erstwhile colleague in the Progressive Democratic Party. “In a parliamentary democracy such as ours it is the long-established convention that the post of Leader of the Opposition is held by that elected Member of the Opposition who commands majority support from his elected colleagues sitting on the Opposition benches. Furthermore GBC’s regulator, the Gibraltar Regulatory Authority, rejected a GSD proposal to replace in the Broadcasting Code the term “leader of the opposition” with “leader of the opposition party” or “leader of the largest opposition party”. If adopted, the changes would have made Mr Azopardi, and not Mr Phillips, the contact for broadcasters to offer the opposition the opportunity to reply to ministerial statements and national interest broadcasts by the government. However, the GRA concluded that the term “leader of the opposition” is “appropriate and correct” and the Code should not be amended. 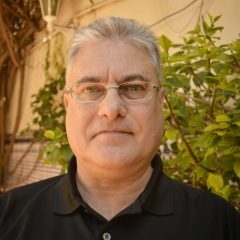 Mr Azopardi himself acknowledged when he put his name forward in the GSD leadership election last November that victory might result in this type of situation. He cannot now blame others for the consequences of his actions. A year and a half ago the government claimed that many patients requiring specialised medical care that couldn’t be provided locally preferred to be referred to Xanit hospital in Benalmádena rather than the UK. This, it said, was because it was much more convenient especially for family and friends to visit. The arrangement also suited the taxpayer as flights, accommodation and allowances were paid at lower levels than if the patient were sent to a British hospital. In parliament health minister Neil Costa gave details of the number of in-patients being treated in foreign hospitals or clinics. He revealed that the number of patients being treated in Xanit has dwindled to almost none. Between December 2016 and November 2017 the monthly average was 66, peaking in March 2017 with 87 patients. The figure fell sharply last December to 14, and just five and two respectively in January and February this year. The last time I looked Xanit was still in the same location, so it’s presumably just as convenient for patients and visitors, and economical for the government, as it’s always been. Why, then, this dramatic decrease? It may be that the government has previously given an explanation but if not I was surprised that the GSD opposition, which in the past has claimed that patients were being sent to Xanit even for “relatively simple procedures”, didn’t pick up on it.